Home » Science/Tech » Apple iWatch – Launch Planned Along with Next iPhone? Apple iWatch – Launch Planned Along with Next iPhone? The iWatch buzz and rumors are back. This time thanks to a Chinese technology site C Technology. Well, according to the rumors the Apple iWatch is expected to be launched October 2014 alongside with the latest iPhone. 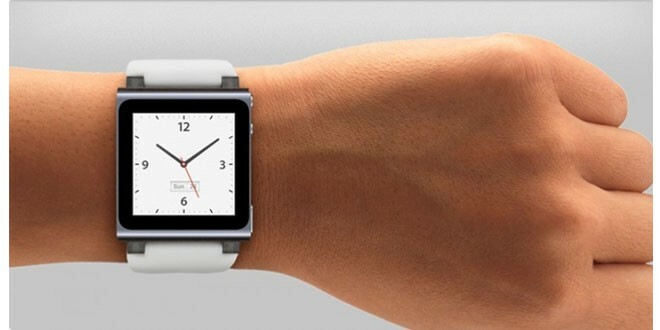 The iWatch is also expected to sport wireless charging technology from up to one meter away. The reports also stats that Apple has already tested two iWatch prototypes but they are yet to decide on the final screen size. The prototypes are powered by a 100 mAh battery. Isn’t 100 mAh way to small? Samsung’s Galaxy Gear watch contains a 315 mAh battery and has received criticism over poor battery life. Battery life has previously been reported as being an issue for Apple, with iWatch prototypes lasting only 1-2 days on a charge and the company hoping to find ways to extend that to 4-5 days. C Technology notes that wireless charging would be one way to reduce the burden of frequent charges, but it is unclear exactly how it would be implemented by Apple. A 100 mAh battery in the iWatch would roughly match the 105 mAh battery seen in the sixth-generation iPod nano that was designed in part to be able to be used as a watch. iWatch reports have surfaced throughout the past few months, with Apple rumored to be releasing both 1.7 and 1.3-inch display sizes of the watch for men and women. NPD DisplaySearch analyst Paul Gagnon also noted that Apple appears to have put its major television product plans on hold for the time being in order to focus on wearables such as the iWatch. So is C Technology rumor credit worth? Well they have a mixed record on this, so we can only keep our fingers crossed. Previous: Kelly Rowland Confirms Engagement!